Positioned as we are in the Energy capital of the world, we have a long and intimate relationship with oil and gas companies, as well as the businesses that serve them. Over the past decade, we've worked up, down and across all industry verticals with clients such as Chevron, Marathon, Varel, Spectra Energy, NRG eVgo, Energes Oilfield Solutions, NUTECH and Murphy. With the widening experience gap and rapidly exiting workforce as a top concern for many energy clients, we've also helped assess and implement new recruiting programs to attract and retain talent. Learn how the development and implementation of brand standards, rewards programs and sales processes are helping identify rich new sweet spots in which to find believers. Our experience with professional services brands spans many years and industries, including legal, financial, accounting, consulting and human resources. Over the past decade, we have raised the profile for professional services brands such as Norton Rose Fulbright, Nathan Sommers Jacobs, Ascende, Susman Godfrey, Malone Bailey, Employer Flexible, PPCLOAN and Simmons. See how a fresh brand experience can pay big dividends. Our Healthcare clients do extraordinary things, like develop life-saving cardiovascular devices and transform hospital pharmacies from underperforming financial liabilities into highly efficient profit centers. They also face extraordinary challenges, including an increasingly complex regulatory environment and rapidly changing technology demands. Particularly in large cities such as Houston, healthcare brands must also effectively communicate across cultures and languages to reach their full audience. Our strategic insight empowers clients such as Millar, Teen Savers, Texas Children's Hospital, CompleteRx, Houston Methodist, Applied Diagnostics and Women's Radiology. Learn how revitalized brands excite believers inside and outside a company. Large, global distribution companies are usually the product of mergers and acquisitions, often formed over several decades or more, presenting complex brand integration challenges. Shifting market conditions, including changing technology and increased globalization, make recruiting and retaining qualified talent another key challenge for our distribution clients. We guide companies in shaping their message to the audiences they serve to make new Oil & Gas, Industrial or Commercial Industry believers. Some of our distribution clients include Distribution International, Data Projections, DistributionNOW, Advantage Fixtures, PAC and Truespec. See how our work helps drive them forward. From primary to college prep to graduate programs, our educational expertise is as diverse as the student populations at the institutions we've served. Our branded campaigns have helped launch new schools as well as connect old institutions to potential new markets of believers. Educational institutions require a multi-front marketing approach to attract skilled faculty members, woo potential students and prove quality and caliber to parents. We have helped boost the brands for institutions such as Rice University, The Branch School, Principia, Marine Military Academy, Genesys Works and Christo Rey Jesuit. Discover how we're advocating for students and educators. Experience, as in a long track record of success and security, is what people want from their financial institution. It's also what such an institution wants from its brand experience firm, particularly if they seek to evolve their identity without diluting brand equity. That's why smart financial companies believe in BrandExtract. See how a fresh brand experience can pay big dividends. Non-profit work is a special category, because the payoff is in the process. For starters, we know we can do inspired, creative work. But even more important, we believe the work will inspire others. We are proud to work with organizations such as CancerForward, Houston Toolbank, Houston Technology Center, Inter-Faith Group and San Jacinto Museum of History. See how engaging and entertaining experiences elevate the ways in which our partners serve the community. BrandExtract helps manufacturers define their key strengths and communicate with customers in a way that builds bonds and creates conversations. Those conversations turn into valuable opportunities to cultivate a base of passionate customers and believers. With the right corporate positioning, strategic planning, brand messaging and stand-out design, a manufacturer’s customers see past price and focus on the superior product and service. Over the years, we have guided manufacturing clients such as TEAM Oil Tools, Uson, Millar, Varel International, Geoforce, Chancellor Oil Tool, GSE Environmental and Antelope. Learn how strategic repositioning helped these companies grow. In the meantime, let's take a look at some other useful case studies. Despite being one of the most used credit cards in the world, Visa had identified an emotional distance between its brand and its customers. Industry research suggested that brands have people’s attention for just 6.5 seconds, so Visa created the GoInSix campaign where the brand would generate interactive content designed to motivate people to dine, shop and travel, using either six-second videos, six-image vignettes or six words. 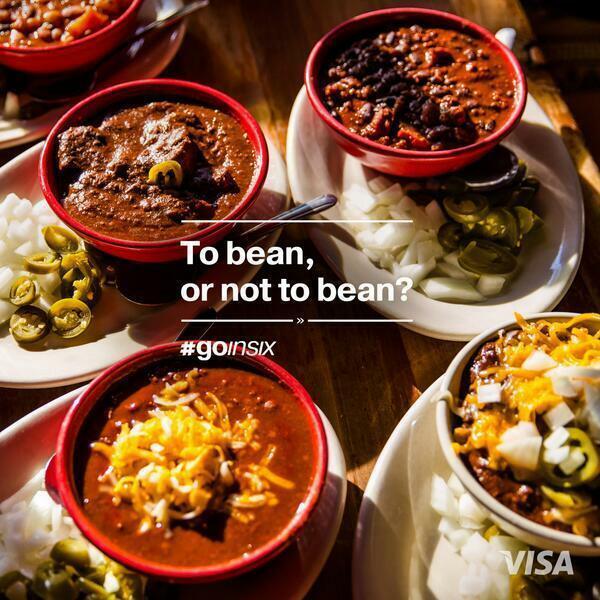 The campaign ran across all of its social channels and Visa urged influencers to upload their own GoInSix stories. Visa’s Facebook engagement score ranking went from seventh to first in ‘finance’ and climbed to second in all lifestyle brands. The campaign delivered 284m earned impressions, five times more than a previous Visa campaign, which had 18 times more media spend. ‘The Big Dig’ by WaterAid was an integrated campaign which brought fundraising, communications and country programme teams together to raise over £2.5m for WaterAid’s work in Malawi through digital storytelling. Mobile blogging direct from Malawi meant supporters and donators could see their support in action and meet the people they were supporting. It was a first for the sector, using social platforms and mobile tools so that supporters could meet people whose children were dying from lack of clean water, come together with them to change it and watch as a truck drilled the borehole bringing the village clean water. The Big Dig was WaterAid’s most successful fundraising and awareness campaign, raising £2.6m (including government matching) against a target of £1.2m and bringing clean, safe water and sanitation to 134,000 people in Malawi. Digital channels including the Big Dig blog raised £75,000 directly, but also drove engagement and reach to increase the overall result. 7% of new supporters signed up for email updates or left a comment. ITV wanted to create a new multi-screen synchronised ad format that made the most of the growing audience using their smartphone and tablet to use play-along games. While the percentage of the broadcast audience on these games is still small, it is proving to be a useful tool as it combines the storytelling potential of broadcast TV advertising with the intimacy of tablets and smartphones. 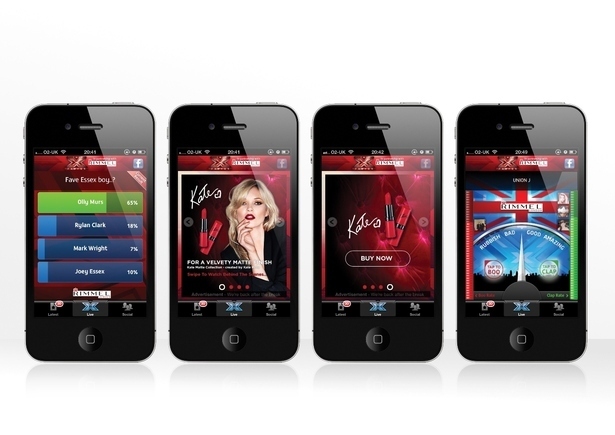 The new ad format was integrated into ITV’s play-along games so as to complement the broadcast advertising, reaching consumers on second screen devices with interactive messages synchronised with on-air spots. The ad format was launched during The X Factor final last year, and it resulted in 252,865 impacts and 1,327,657 page views, with an average CTR of 8.75%. Active engagement was 38% (the percentage of page views that were actively viewed by the user swiping rather than shown automatically after 10 seconds). Microsoft needed to prove to an audience lured away from IE9 by Google Chrome, that its browser was just as exciting, fast and easy to use. 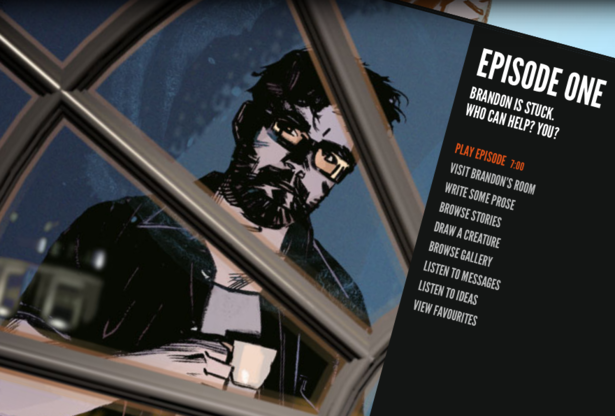 Microsoft teamed up with director Edgar Wright and illustrator Tommy Lee Edwards to create an animated story, The Random Adventures of Brandon Generator. After each film, the viewer was able to contribute ideas, messages, prose and drawings through an interactive hub, all using the capabilities of IE9. In 2011 the IKEA catalogue had more competition from other print and online publications than ever. The catalogue needed reinvention, however it needed more than a digital-only solution. Ikea created an augmented reality application to enable smart-phone users to unlock extended content. This enhanced the experience of reading the catalogue, thereby breathing new life into its pages and giving consumers a continuous brand experience. The design, technology and storytelling overhaul turned the catalogue experience into an evolving innovation platform, which generated real time insight around consumer preference. Globally, the app was the No.1 downloaded marketing app for a brand in 2012 and the catalogue received three times the attention of the 2011 catalogue. The new print and app experience led to an increase in engagement with a six minute time spent in app vs. the average 3 min with just the catalogue. The 42 scannable pages saw a 35 % increase in scanning. The app was downloaded 6.2m times. Manchester United has a massive global following, with more than 300m fans in Asia alone. Connecting with this fanbase is a key part of the club’s strategy. It identified that social media platforms are one of the primary methods by which it engages and transacts with its global following, and can be used to create new revenue streams. Man United launched an official Facebook page in 2010 and posts an average of ten times a day, often running competitions to capture data and using content to support sponsors’ requirements, as well as running polls and asking fans’ opinions. Its timeline also displays the history of the club. In July 2013 the club launched a presence on both Twitter and Chinese site Sina Weibo. On Twitter, it taps into its players’ individual followings, with Q&As as well as news, with an average of ten tweets a day. It also tweets lots of photos as well as sharing fixture updates and infographics. A similar approach is taken on Seina Weibo, with the majority of posts hitting over 100 shares within a few hours. 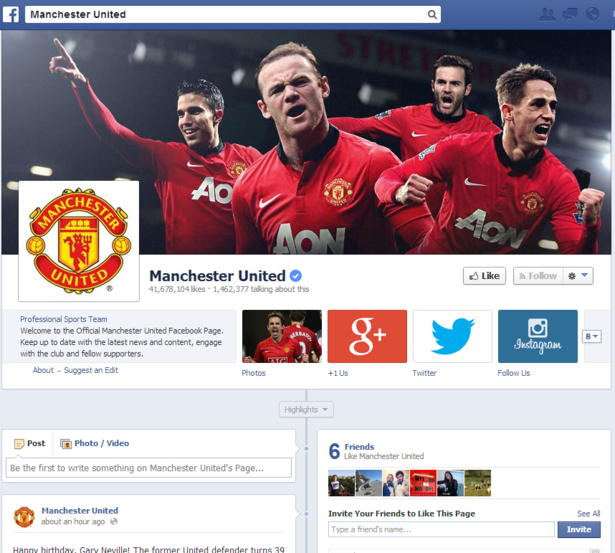 With over 34.5m Facebook 'likes', MUFC is one of the most popular brands on Facebook. Both Twitter and Sina Weibo accounts attracted over 700,000 followers within just over a month of launching, with the majority of Twitter posts averaging over 700 retweets. Its Google+ page also acquired more than 40,000 followers within less than a month.